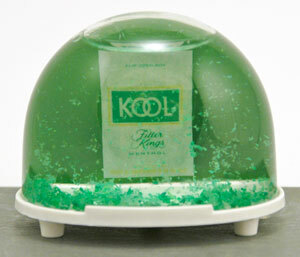 This Kool Cigarettes snowdome is made in Germany. "Here mein kinder, enjoy this wundebar cigarette schneekugel!" Or words to that effect.